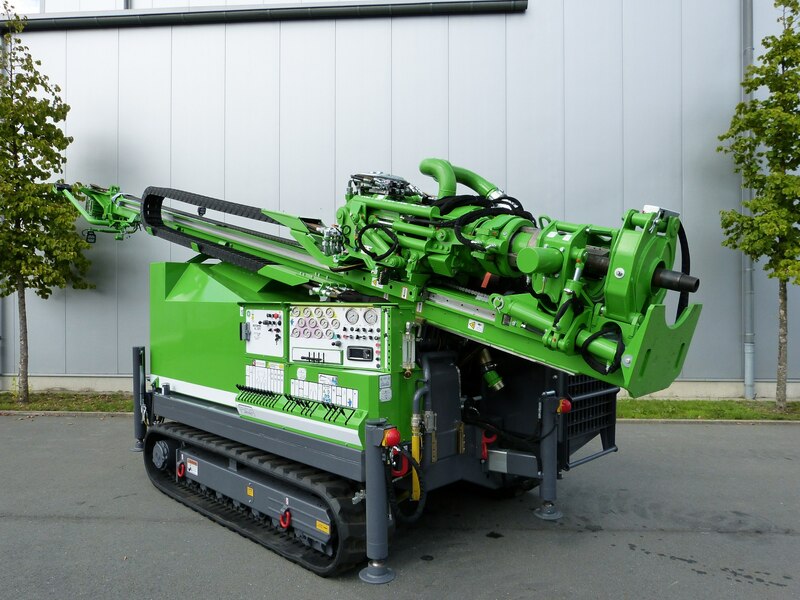 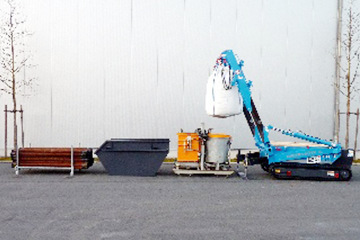 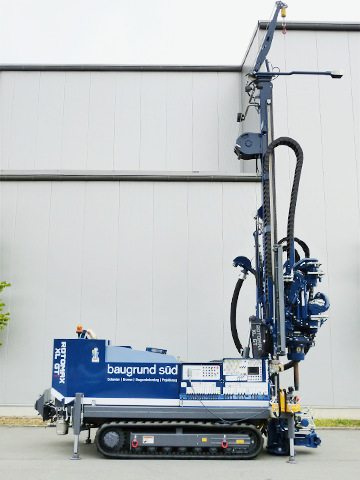 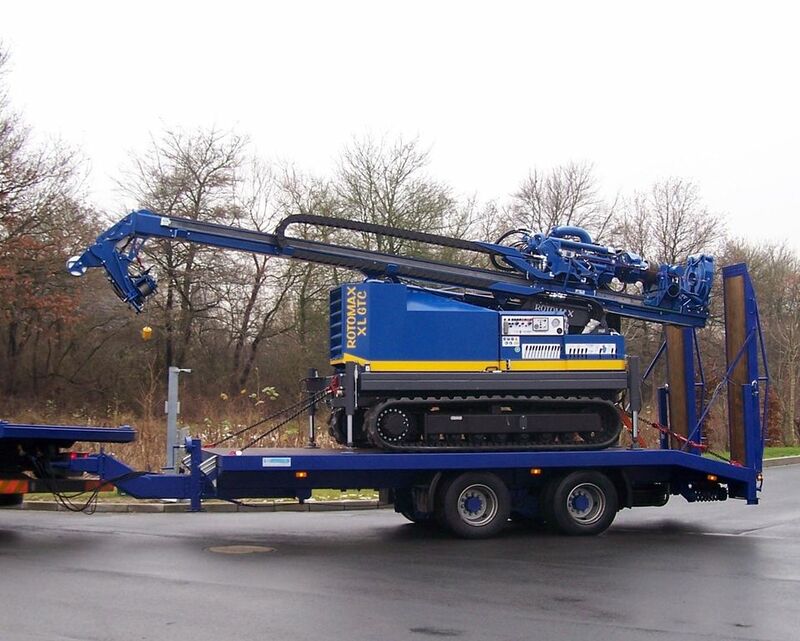 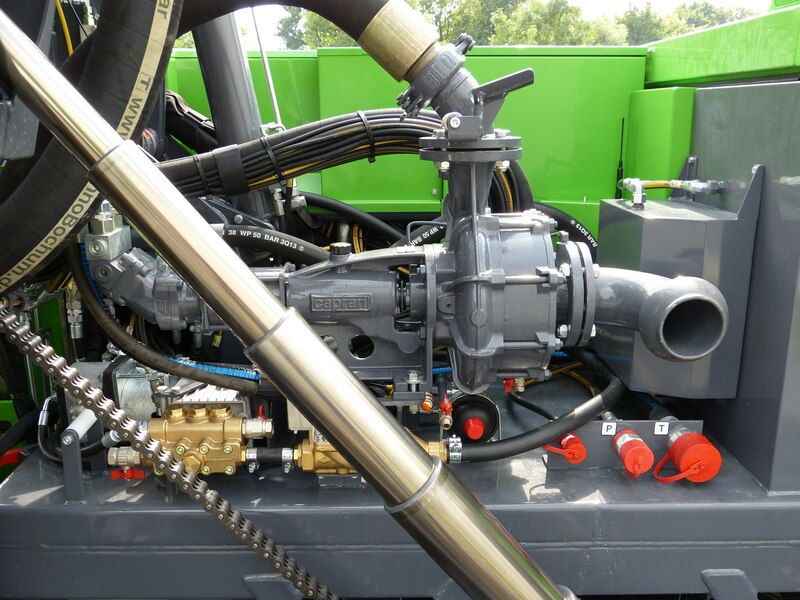 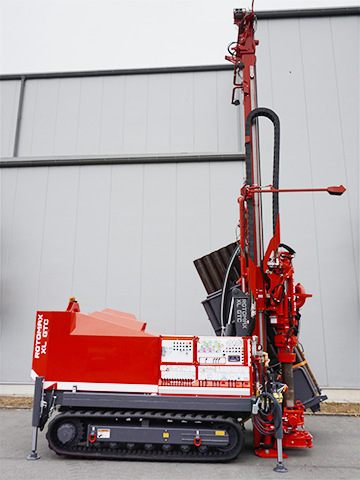 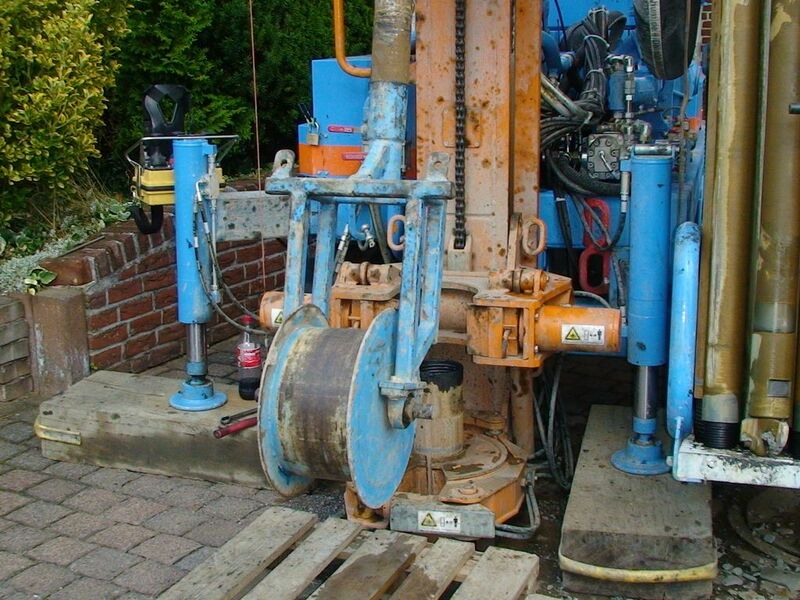 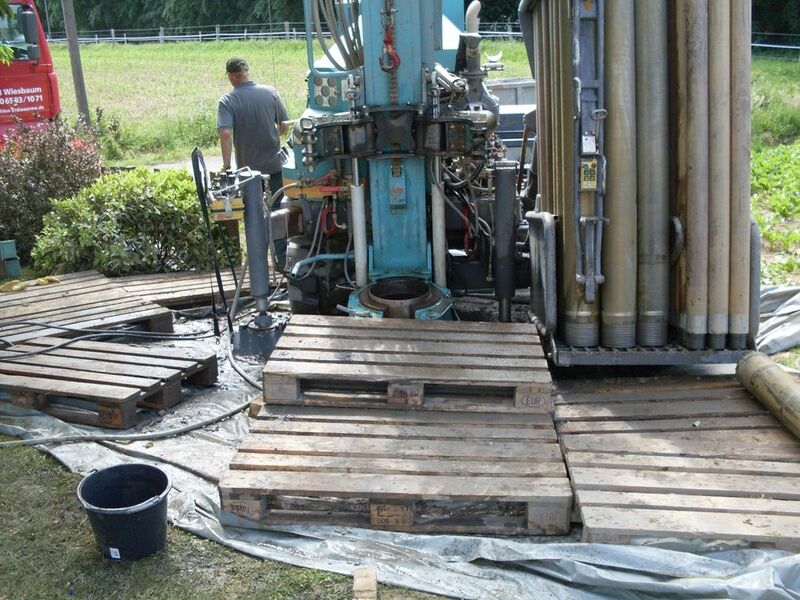 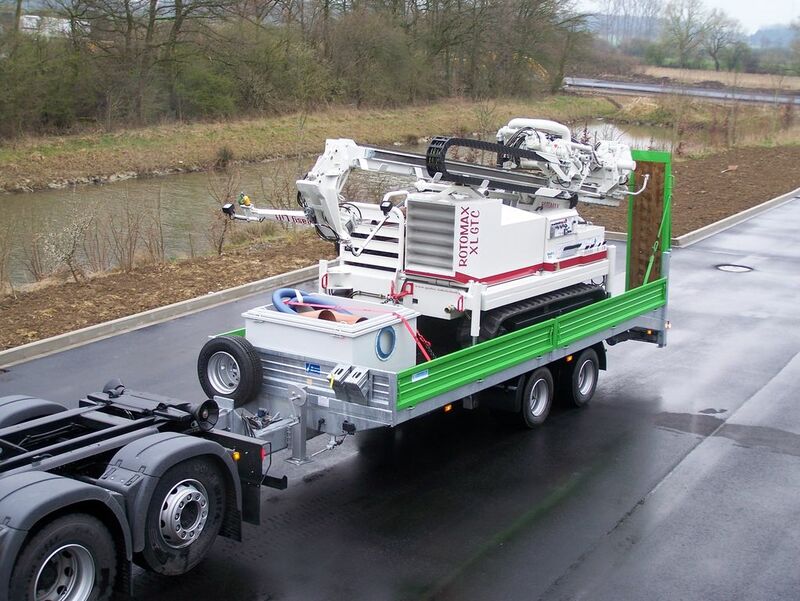 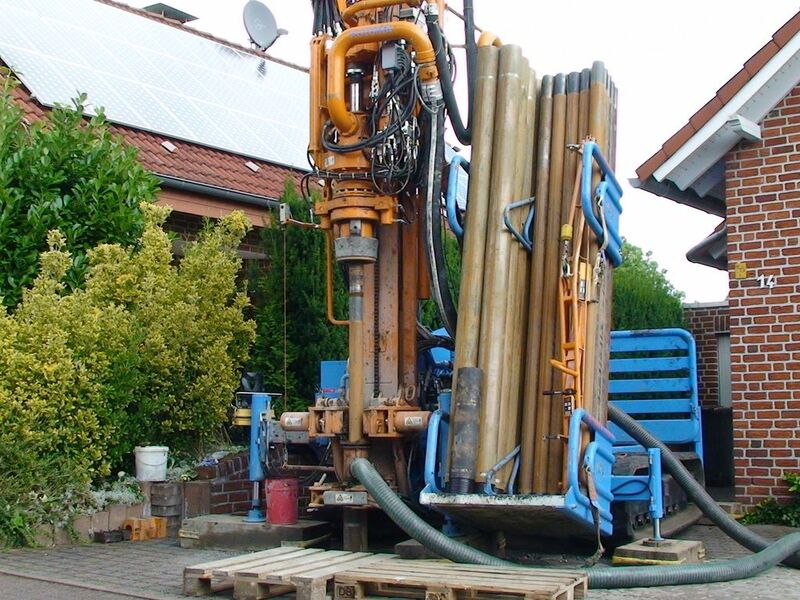 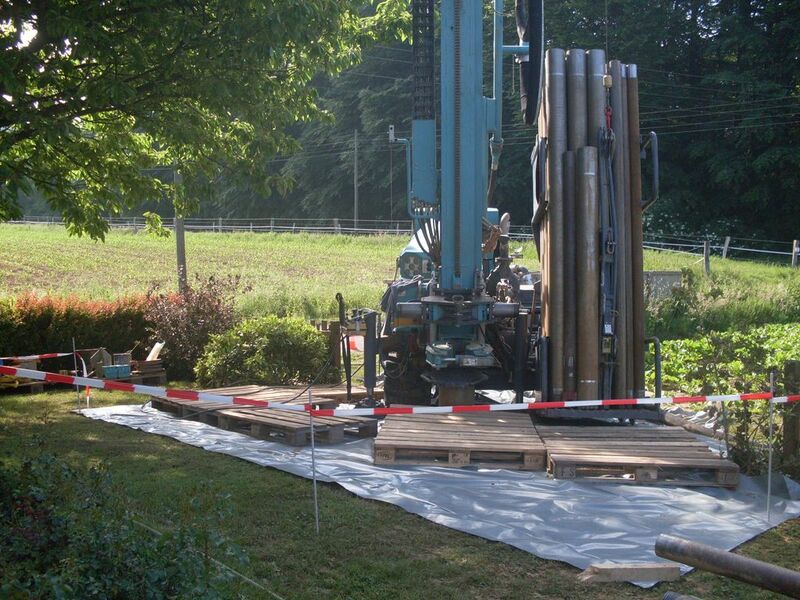 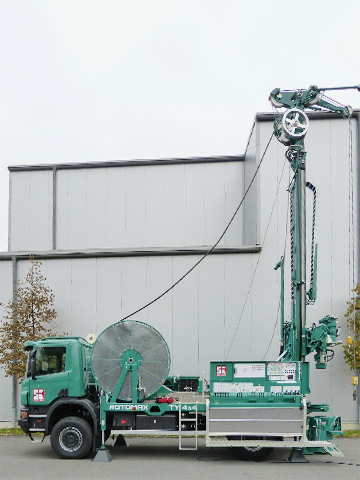 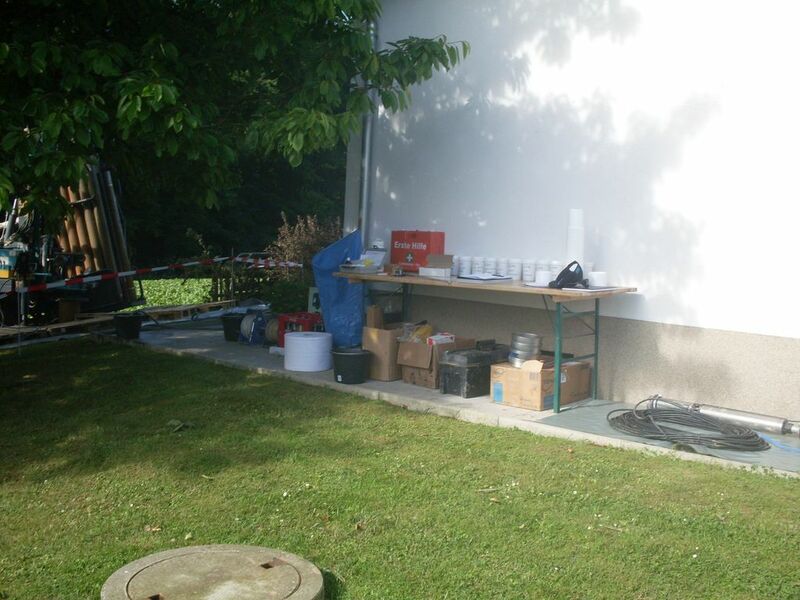 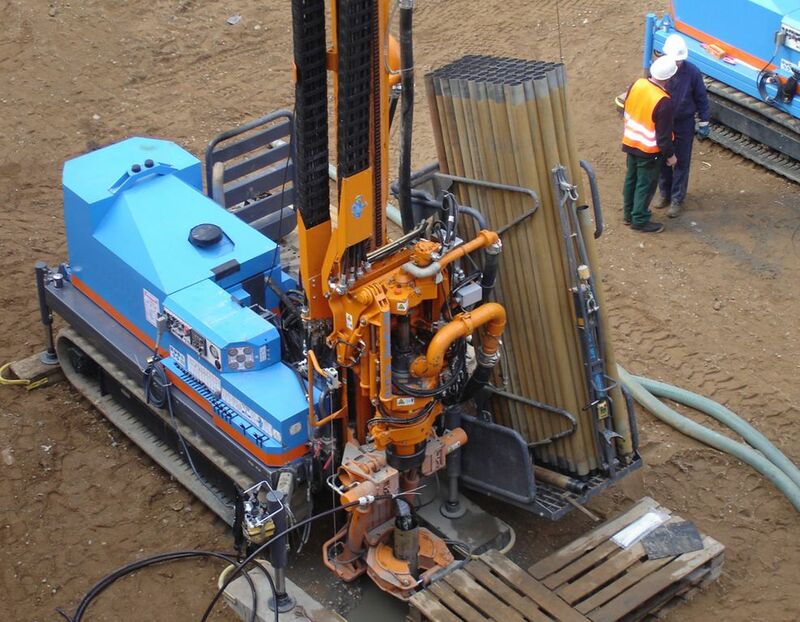 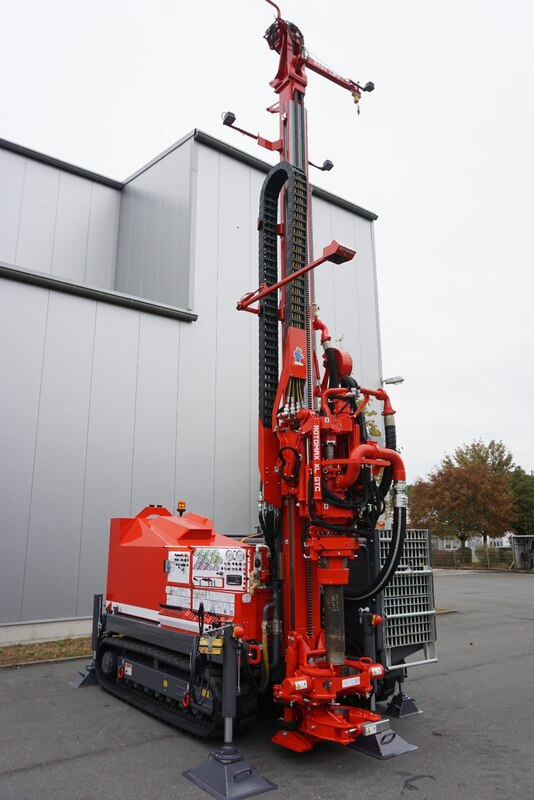 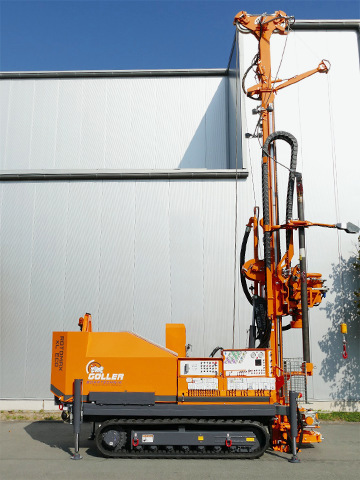 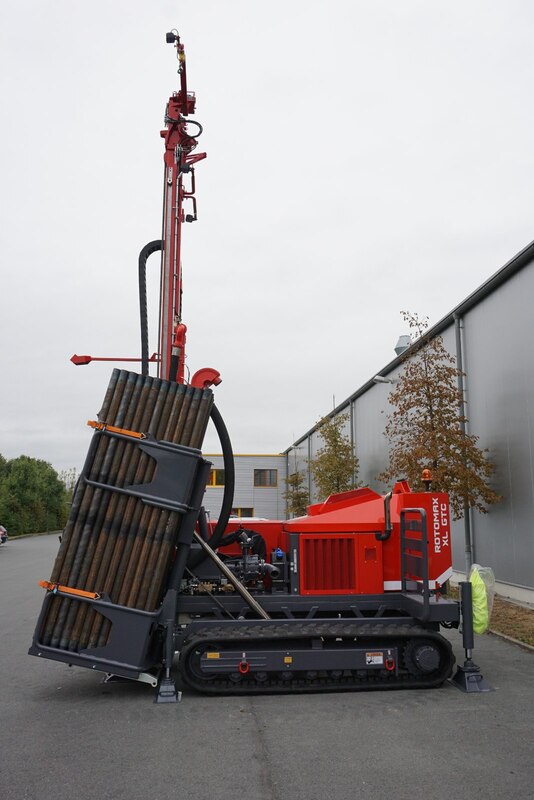 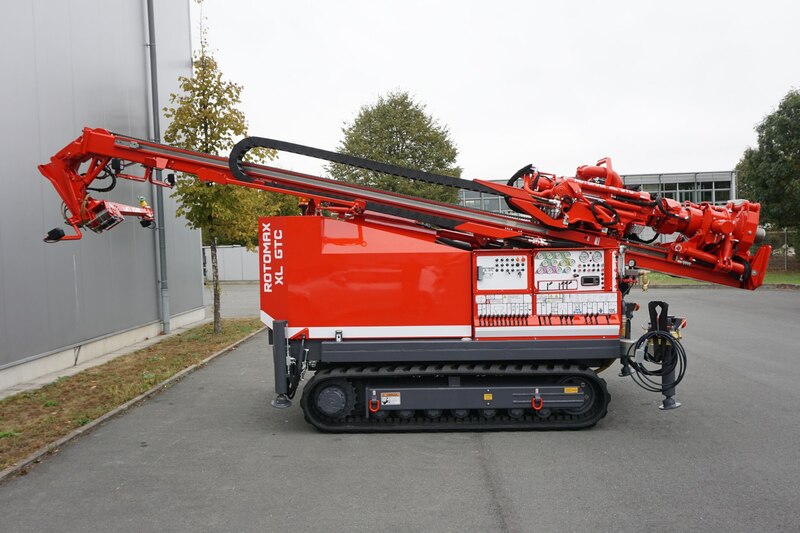 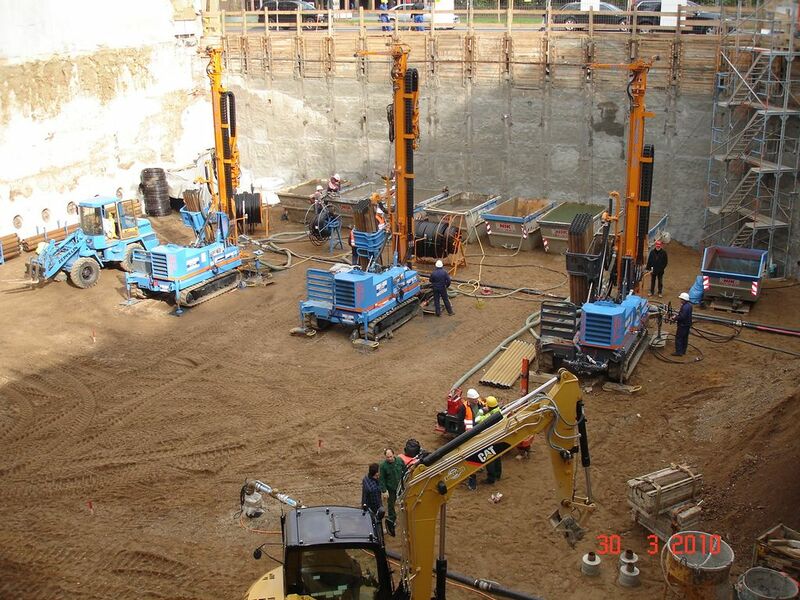 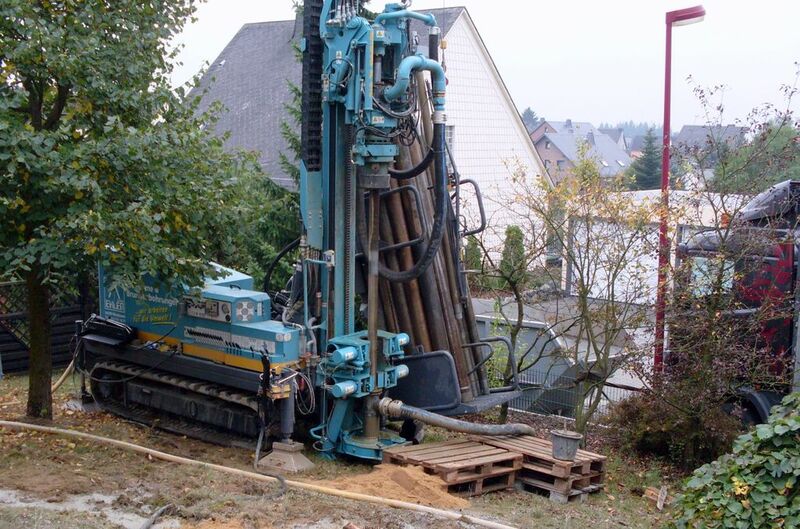 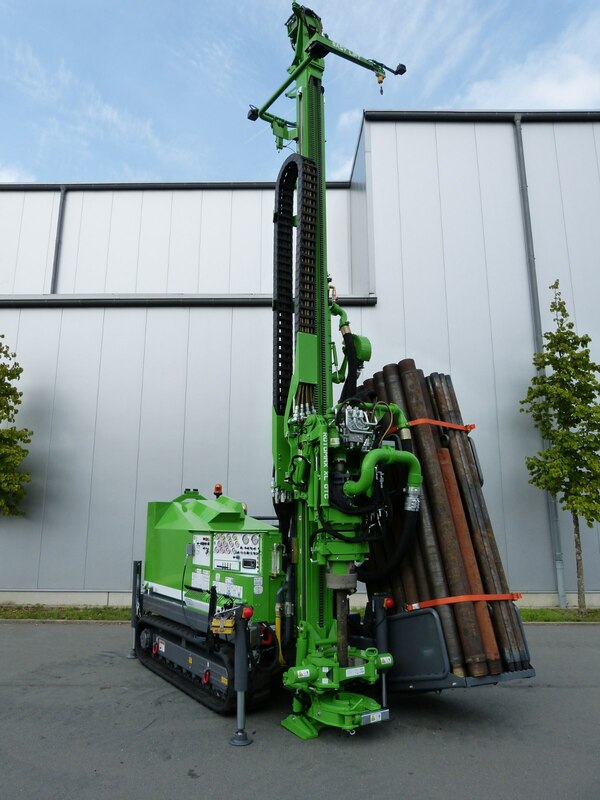 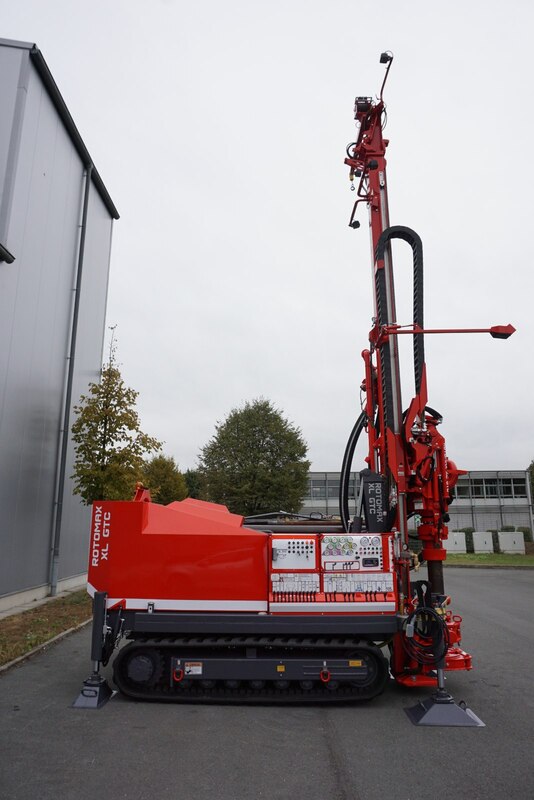 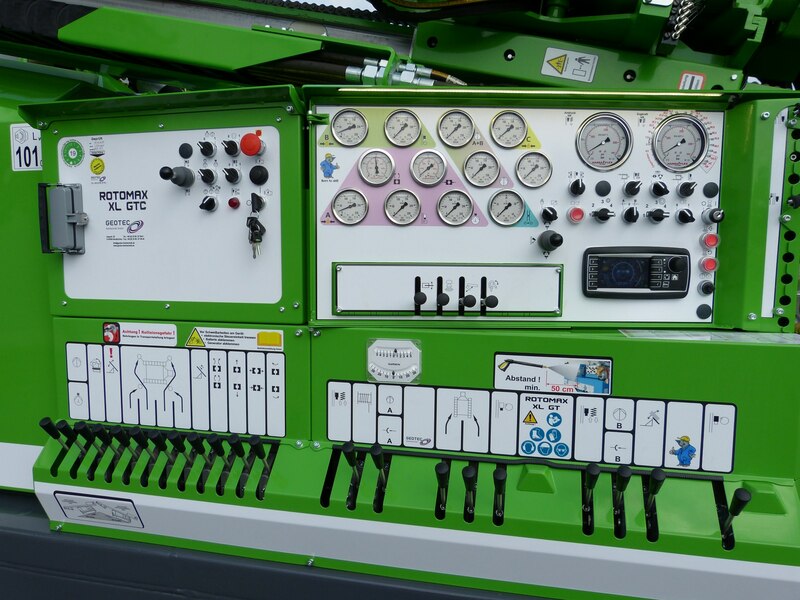 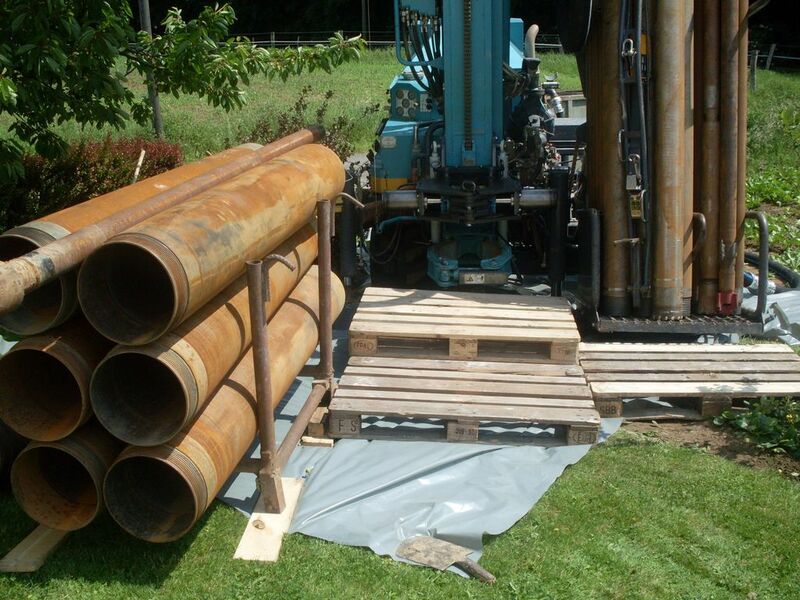 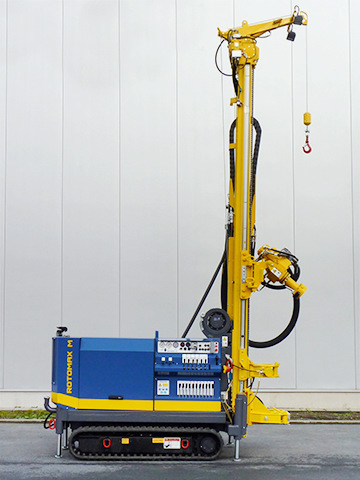 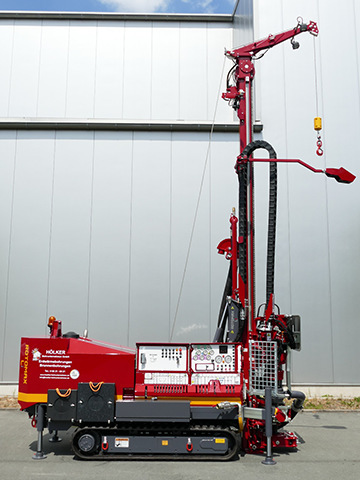 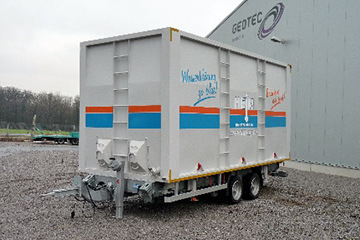 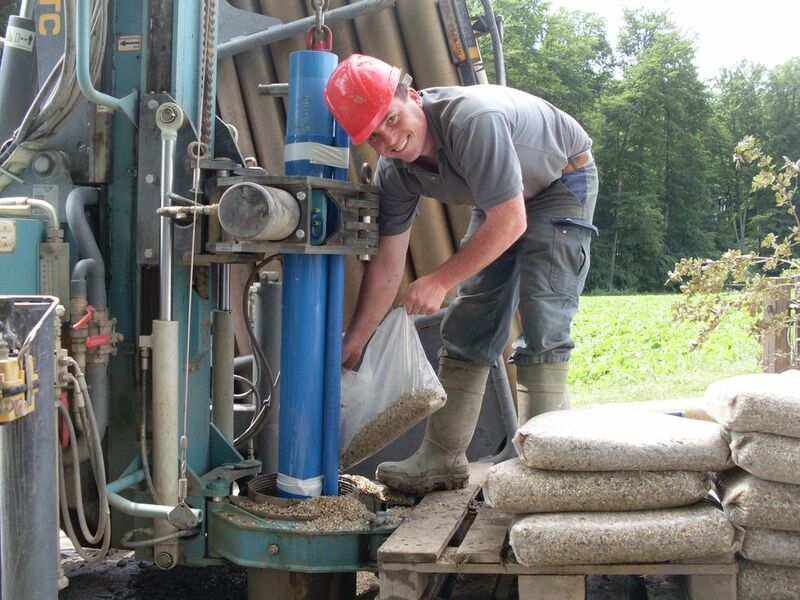 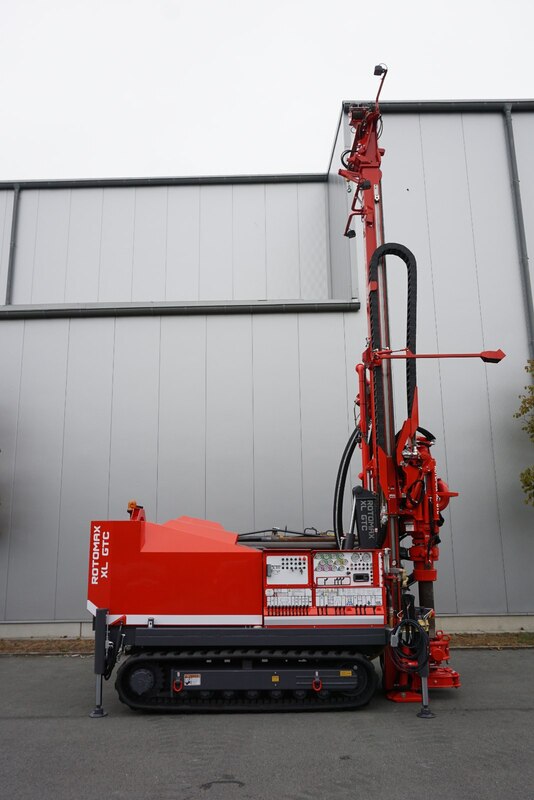 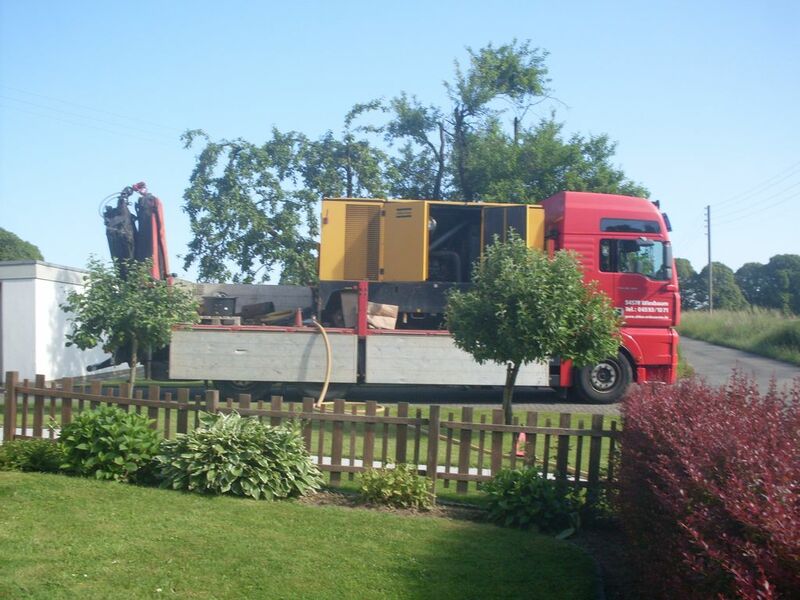 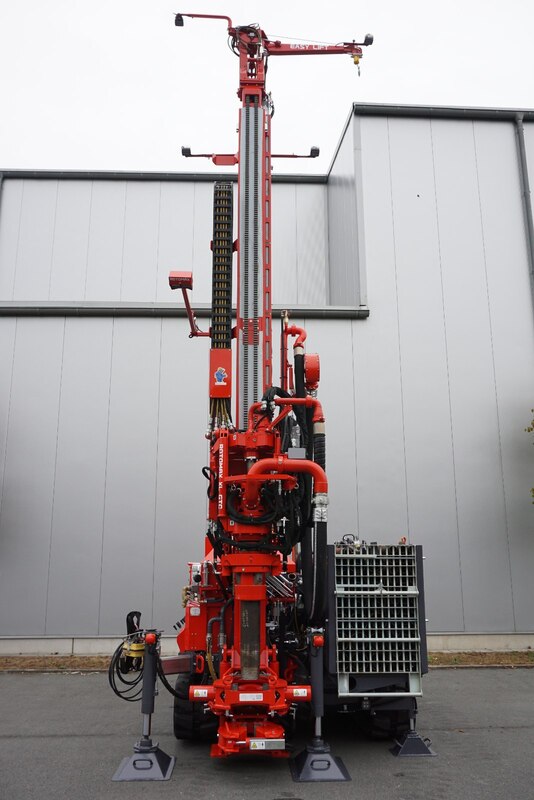 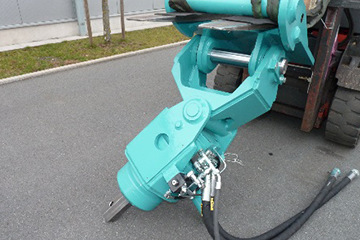 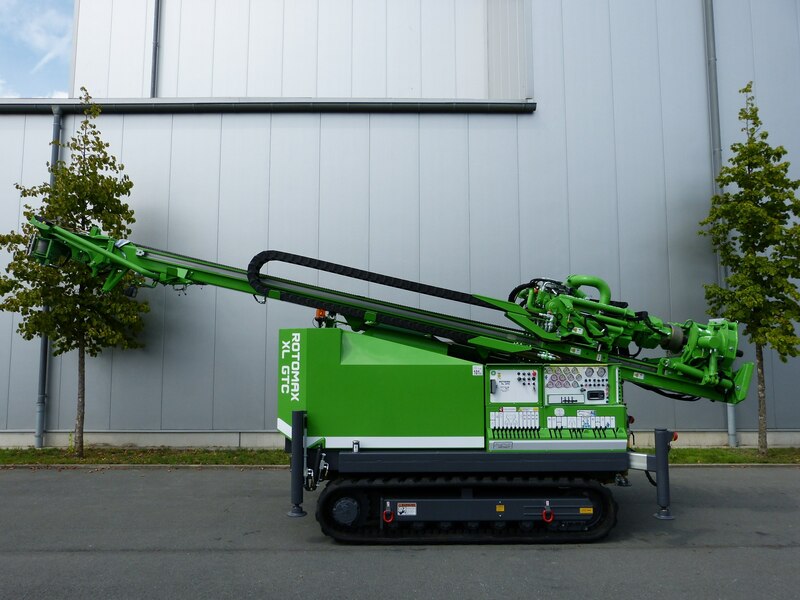 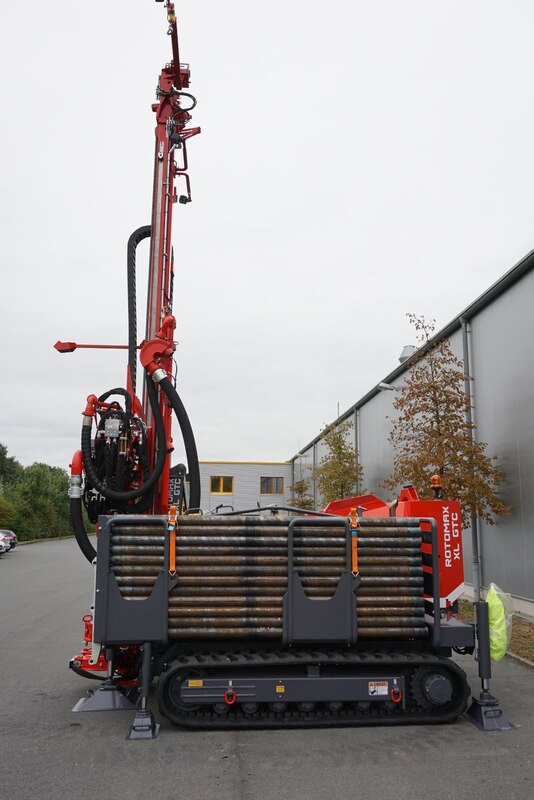 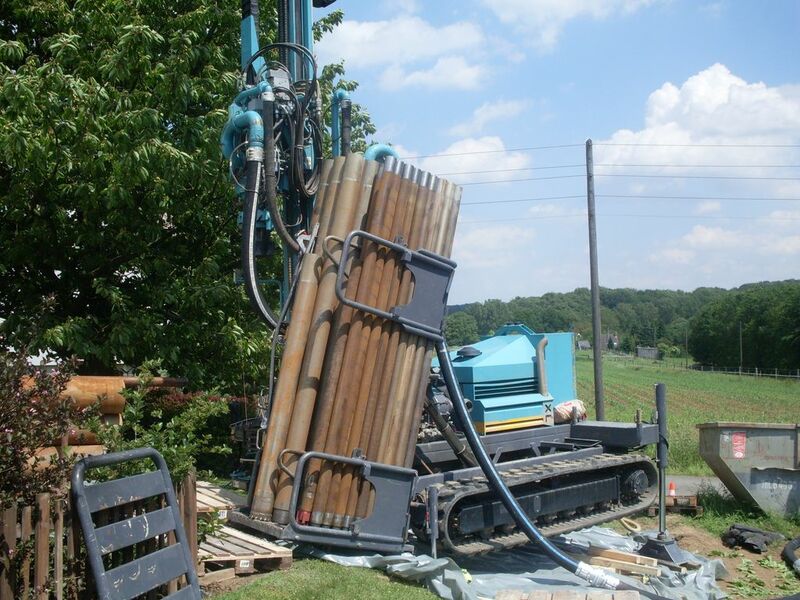 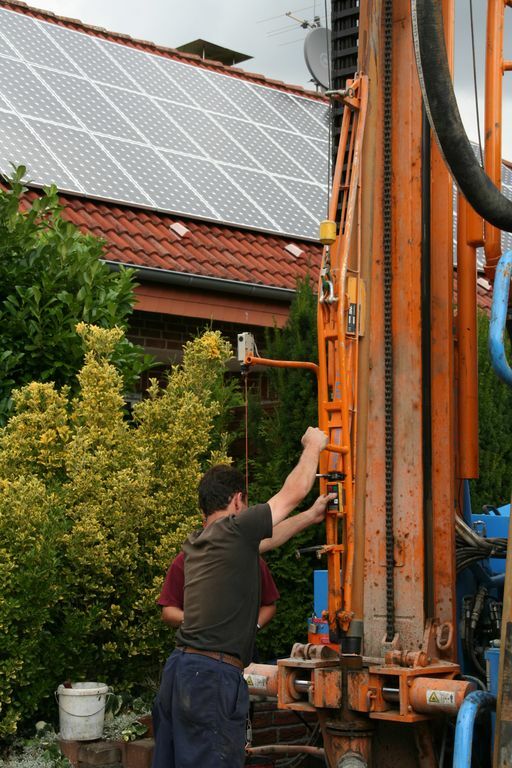 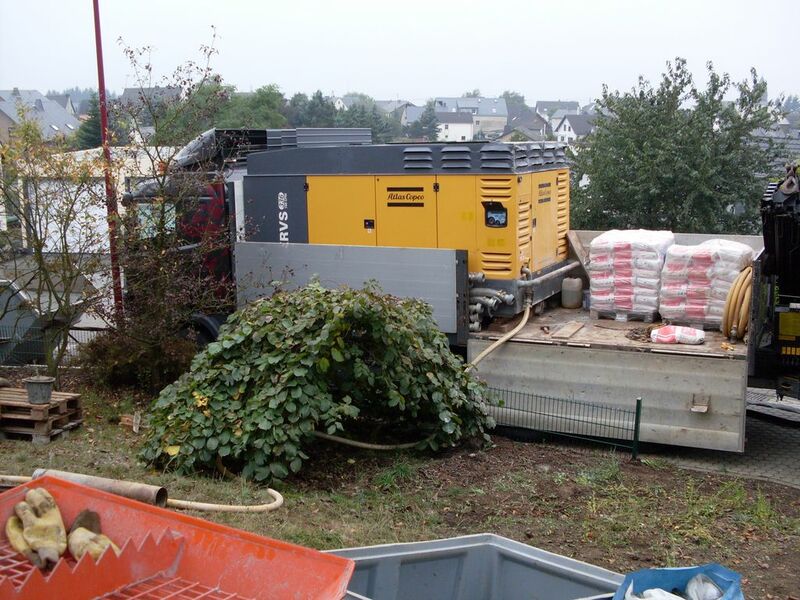 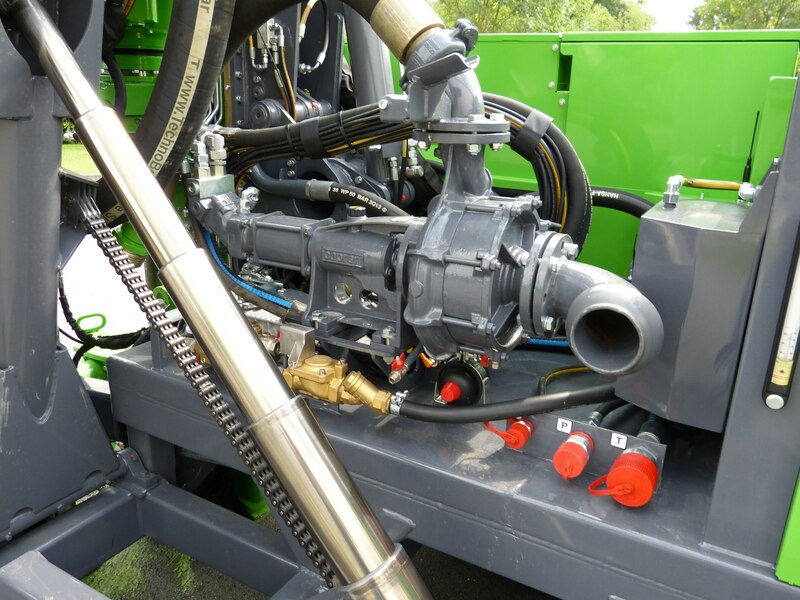 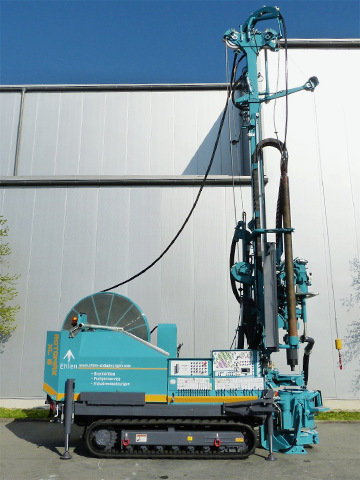 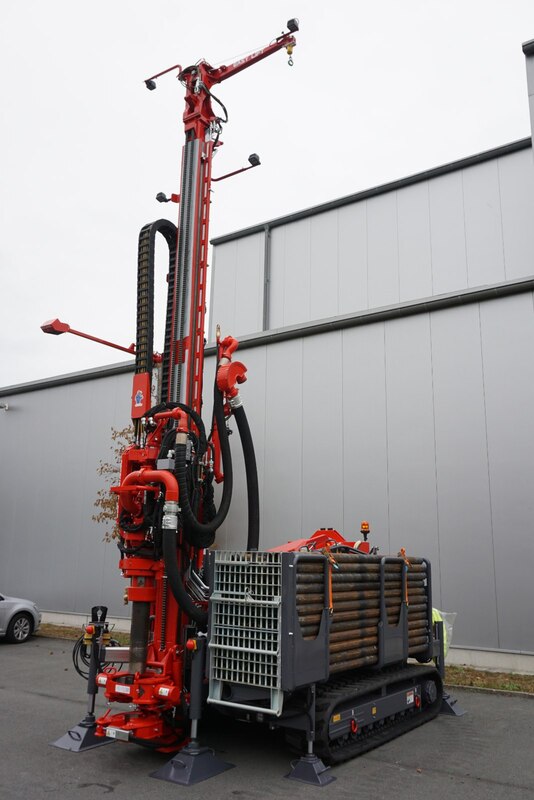 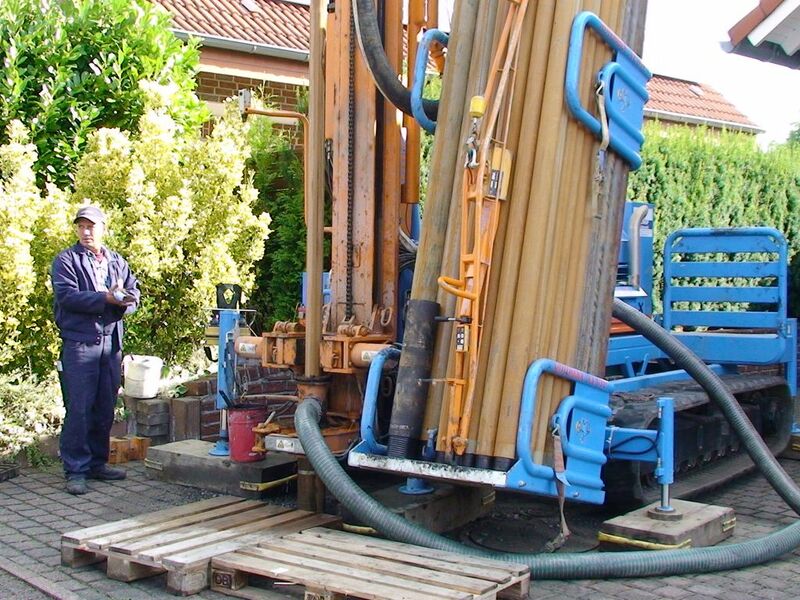 At the moment, the ROTOMAX XL GTC is the largest serial produced drill rig by GEOTEC Bohrtechnik GmbH. 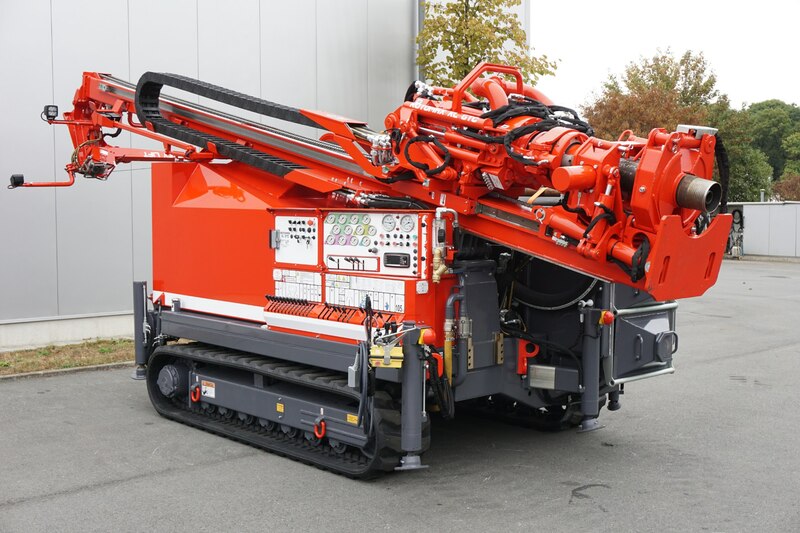 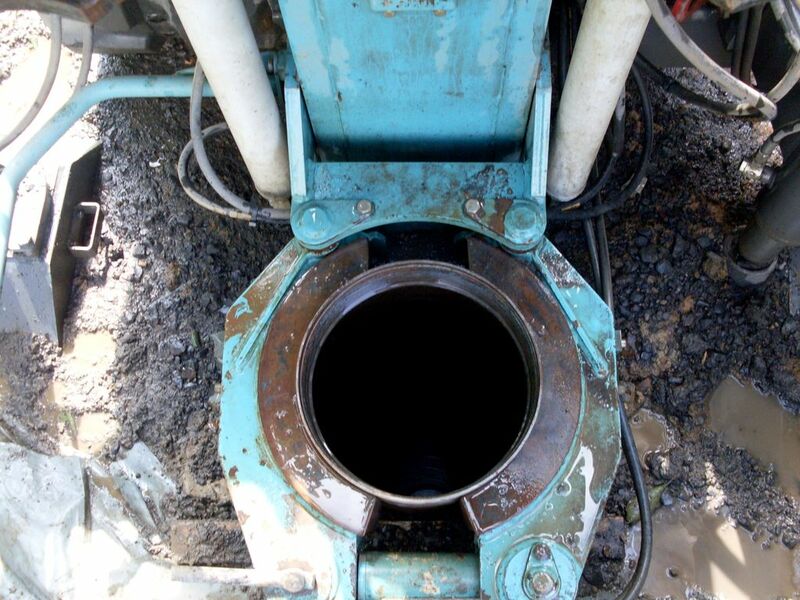 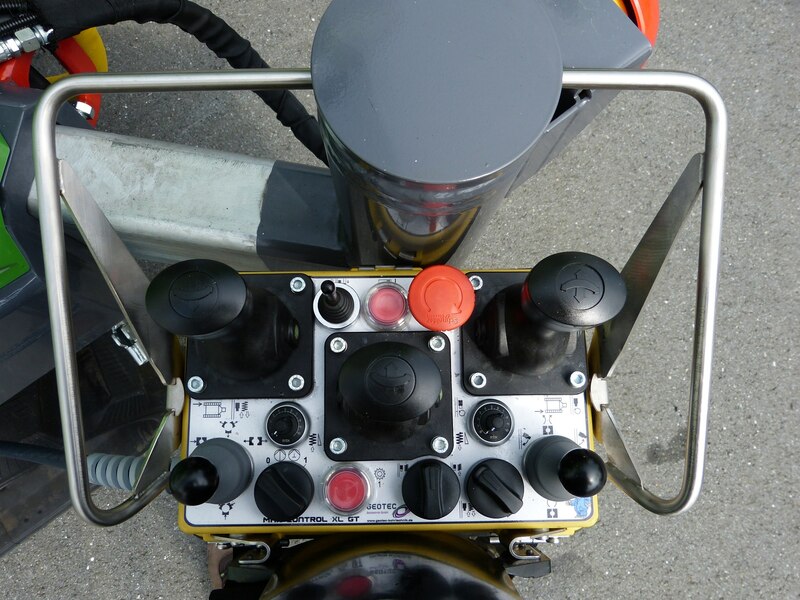 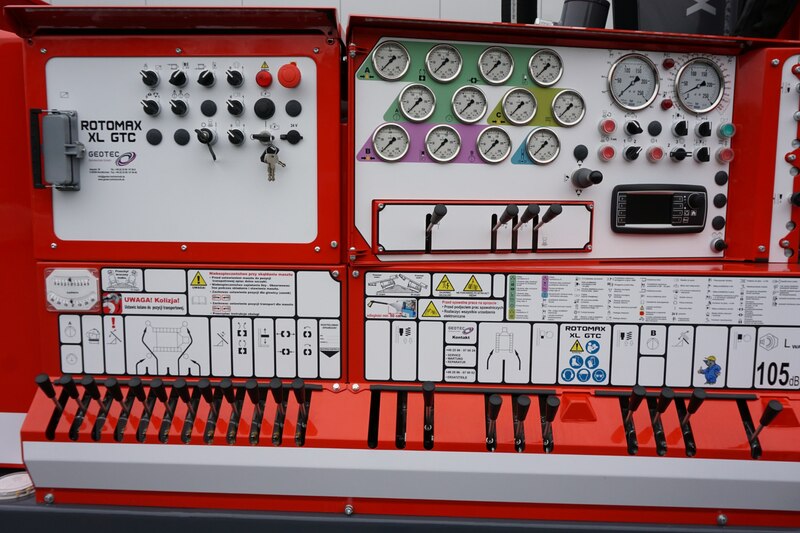 Driven by its enormous power and level of motorization, this 13 ton lightweight (when fully equipped with drill rods) is easily able to compete with 18-20 ton drill rigs. 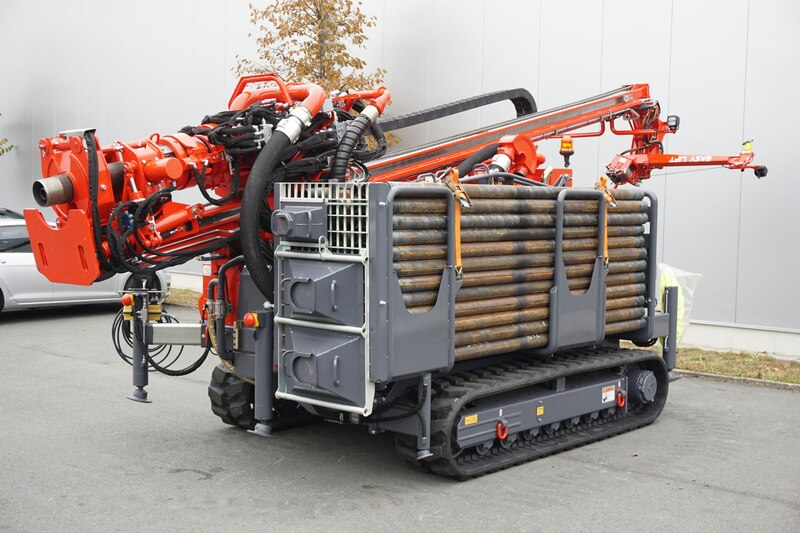 Rubber crawler tracks which do not leave damages and the handling system for drill rods are only two of the various features that characterize the XL GTC as being unique in its performance class. 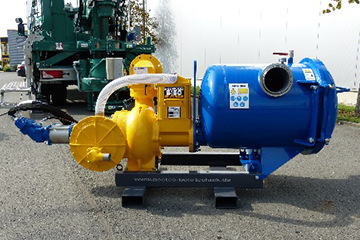 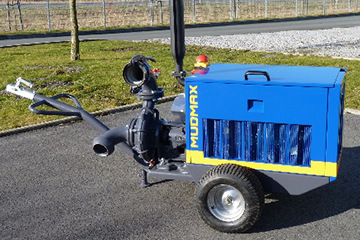 The compact dimensions, the excellent operating comfort as well as the light weight provide for maximum operating efficiency, long durability and sufficient output reserves.